It's no secret that talk show host Ellen DeGeneres has a knack for home décor. Two years ago the television personality launched her own home goods and fashion brand, ED Ellen DeGeneres, and published Home, a book that showcases her love of interior design and gives an intimate look at several of the her properties. To add to her growing presence in the décor world, DeGeneres has teamed up Thomasville, Loloi, and Royal Doulton to design her own spring collection of home goods, Elle Decor reports. 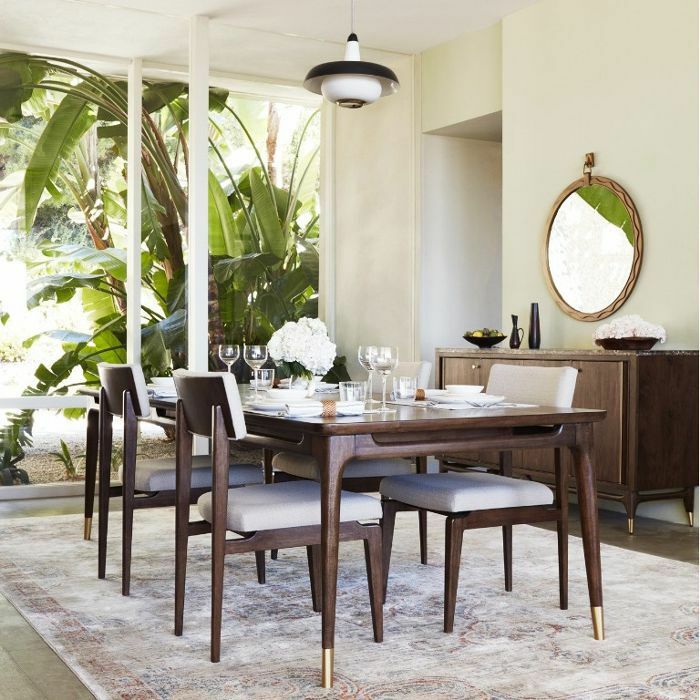 The line features midcentury modern–inspired walnut furniture, statement wool rugs, and delicate blue-and-white tableware. While each item in the collection speaks to DeGeneres's love of quality materials and investment pieces that transcend trends, one product steals the limelight: the Lasuen Bar Cabinet she designed in collaboration with Thomasville. It's a grown-up version of a bar cart that'll only look better with age. Take a look at the Lasuen Bar Cabinet and our other favorite picks from Ellen DeGeneres's new spring collection. 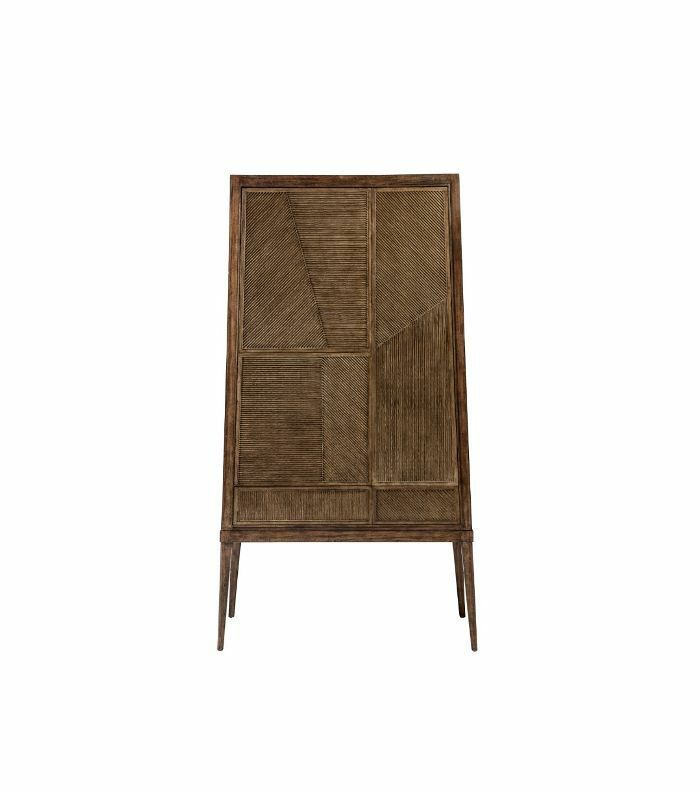 The intricate geometric pattern overlay makes this bar cabinet a piece you'll cherish for decades. 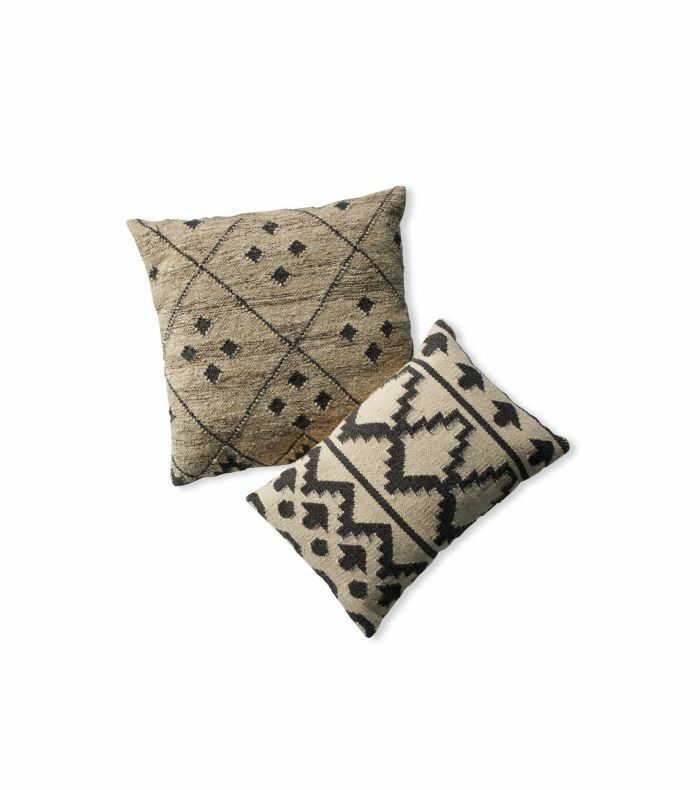 Layer these textured cushions on your sofa to give your living room a seasonal update. 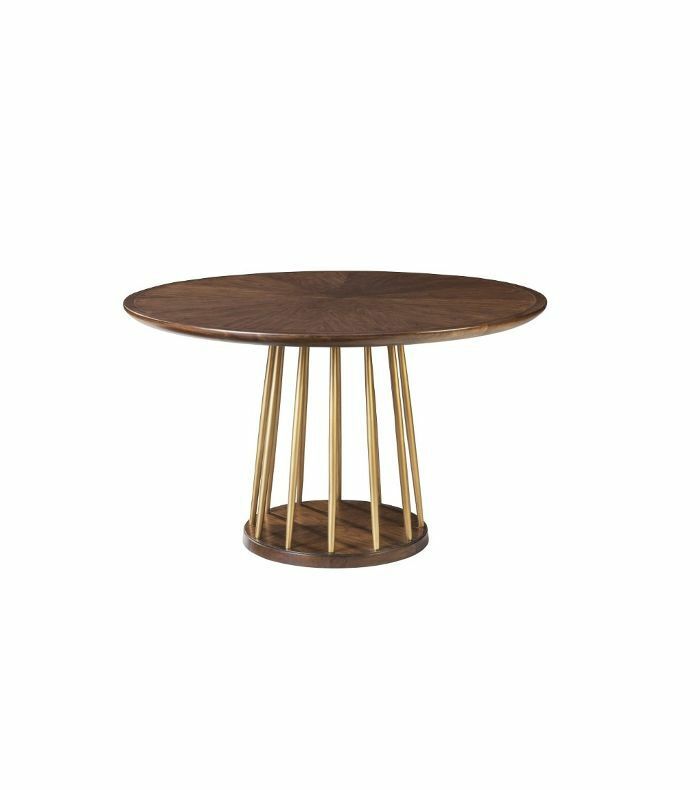 Style this handcrafted midcentury walnut table with brass curios and sculptural eucalyptus leaves. 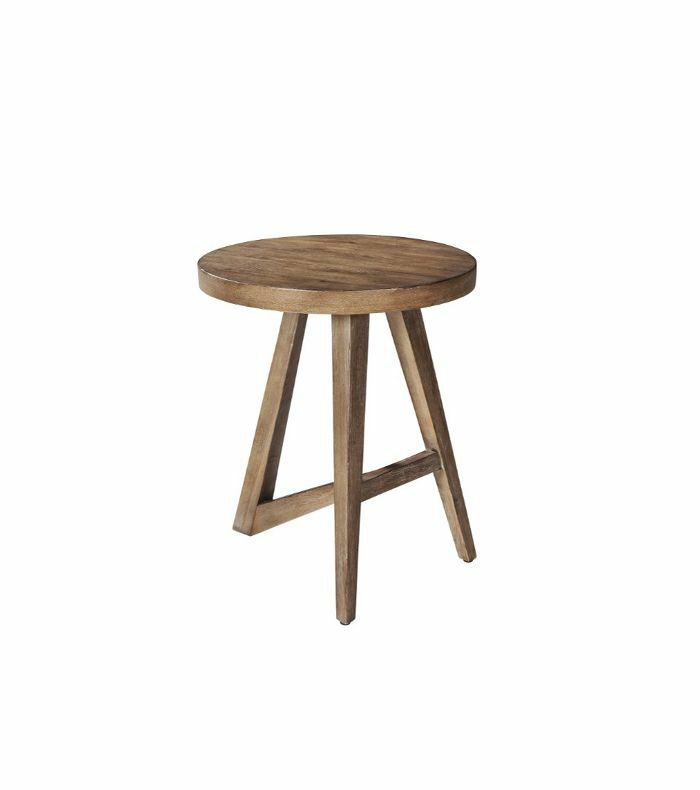 This oak accent table gives any space a rustic yet modern touch. 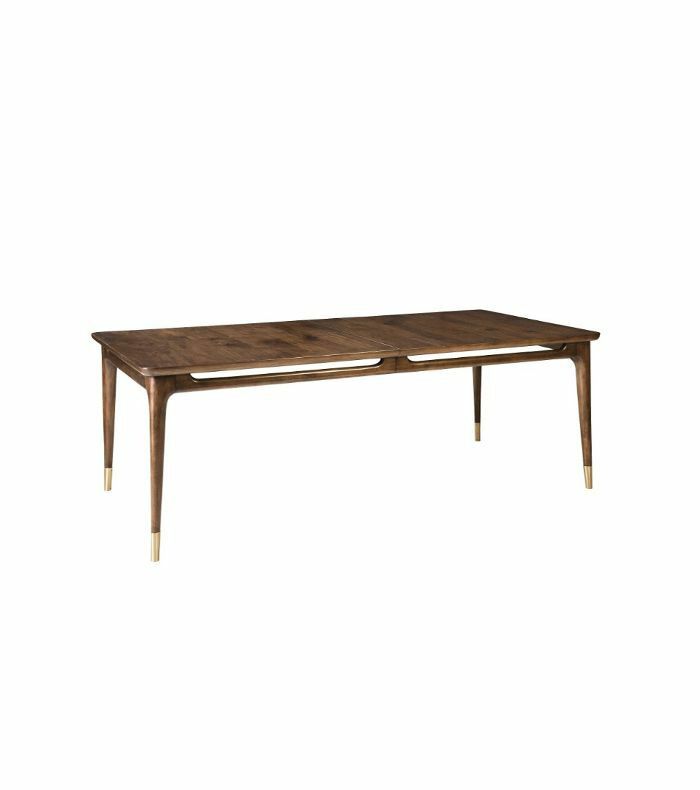 Sleek and understated, this walnut dining table showcases DeGeneres's unique sense of style.